If you haven’t heard we have a new web developer at Nitrome and he is going to be constantly working on new features for the website! His first work was on this new blog system which we think you will agree is pretty swanky but we hope what he has next in development is even better……drum roll….a whole new site design!!! There are some features planned for the future of the site that we are not ready to reveal yet and so there are a few areas of the shot that we have purposely pixeled out…..that is intended and is not part of the new site design! We will leave it to your imagination as to what those new features might be! 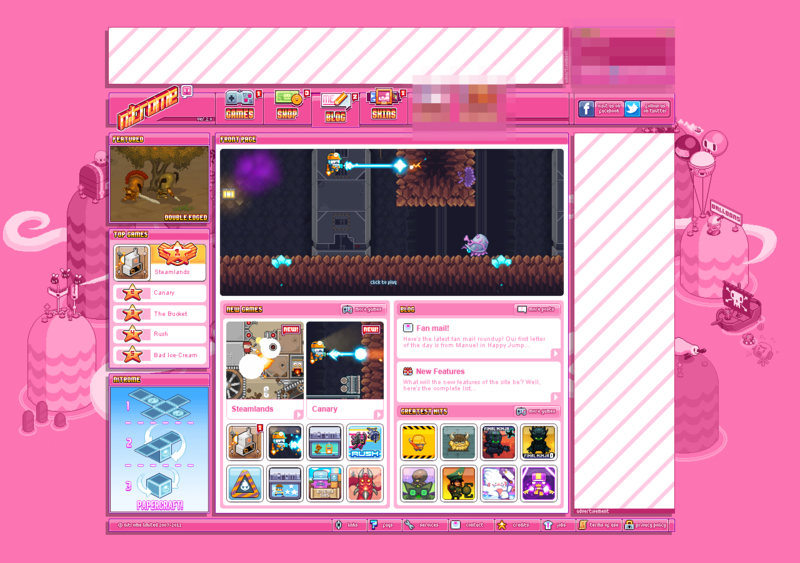 It is always a concern to change elements such as layout and styles in a popular games site. We hope you like what you see but if you do have comments on what you think of the new design please do feel free to drop us an email, comment on our facebook page or tweet to our twitter page as we would love to get some feedback.